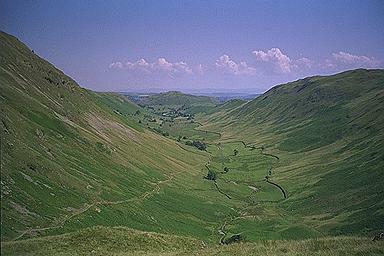 The verdant valley of Boredale is enclosed by Place Fell on the left and Beda Fell on the right with Howstead Brow the tiny eminence at its end. Hallin Fell is at the far end and there is a glimpse of Ullswater to its left. Larger version of this picture.